Halloween, All Hallow’s Eve, Samhain … whatever you may call it, it’s finally here, mes amis! This festival is known for many things including the concept of disorder and the natural law of things being turned on its head, and today is no exception here at Le Château. The annoying furniture company who have unreasonably and unjustifiably retained our money for 3 months, have finally paid up. The missing John Lewis vouchers that Cat Daddy has been complaining about for ages, have turned up. And we have found Louis Catorze’s Achilles heel: the humble clothes horse. Yes, I am fully aware that there are gaps which any normal cat could shimmy under, squeeze through or leap over. However, this is Louis Catorze we’re talking about. Or, as some of his wonderful online fans so brilliantly summed it up, #becauseRoi. 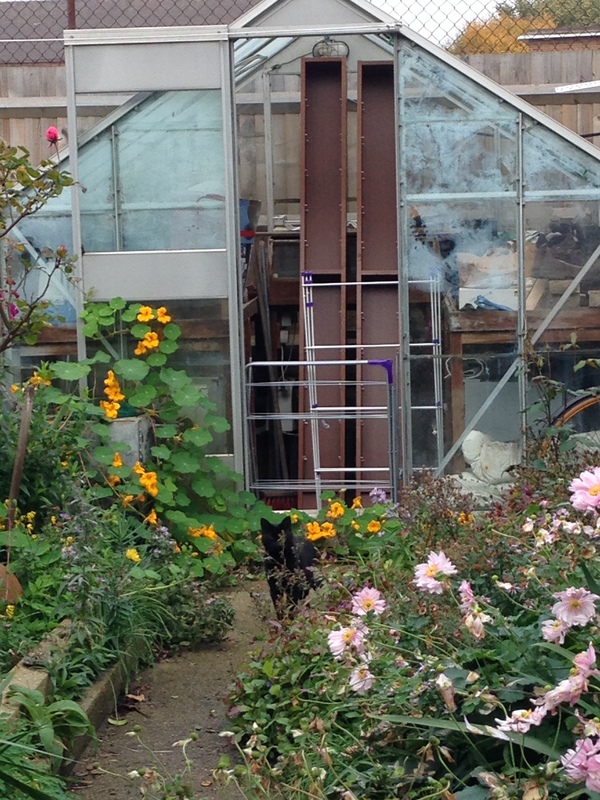 So, with the Forbidden Greenhouse inaccessible, he’s given up hiding in there and is happily washing his arse on a clean, anti-allergy bed, safe from dust, fireworks and marauding adolescents. My Halloween will certainly be happier knowing that he’s out of mischief. Hope you all have a wonderful day, and that your furry overlords and overladies stay safe tonight. Next > Le Roi est rapide: vive Le Roi! Happy Halloween to you and the silly sausage. Just genius, Barry! Well done!